The organizers of the CARTES & IDentification trade show announced the winners of the SESAMES Awards. SESAMES HARDWARE: The winner is MORPHO E-DOCUMENTS with ConnectSIM. 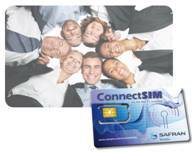 Connect SIM is a new type of SIM card integrating a specific hardware to enable the WLAN feature. SESAMES SOFTWARE: The winner is INSIDE SECURE with Open NFC. Inside Open NFC is a protocol stack that provides a complete NFC middleware solution for mobile phones, embedded products and other devices. SESAMES IDENTIFICATION – ID CARD: The winner is IDEX ASA with SmartFinger Film. The IDEX SmartFinger film is a small, ultrathin and flexible fingerprint sensor aimed for biometric system-on-card applications, such as ID and banking cards. SESAMES IT SECURITY: The winner is GEMALTO with eGo. eGo gives access to services in touching objects with any parts of your body. It has no defined form factor and may be any object you should carry close to your body. The message wakes up a secure element and a usual wireless communication means. SESAMES TRANSPORTATION: The winner is OBERTHUR TECHNOLOGIES with Voox. With Voox, instead of embedding complex components in a contactless dual interface card, the antenna is directly integrated inside the contact module. SESAMES BANKING / RETAIL / LOYALTY: The winner is BLACKBOARD INC. with Blackboard MF 4100 Multifunction Contactless Reader. Blackboard incorporates several payment techologies in a single device, with full color touch screen, wireless connectivity. SESAMES TRUSTED INTERNET/AUTHENTICATION: The winner is MEDISCS with IdéPhone. MEDISCS is a solution incorporating PKI and biometrics on mobile devices to provide cost effective and usable way to implement secure authentication channels in e-banking, e-government, e-commerce and e-health. SESAMES MOBILITY: The winner is OBERTHUR TECHNOLOGIES with NFC Now for Nice NFC City. NFC Now is a complete suite of solutions to deploy mobile contactless services including payment, transport ticketing and loyalty programs. SESAMES E-TRANSACTIONS:The winner is GEMATIK GMBH with Practice-fee and receipt service. 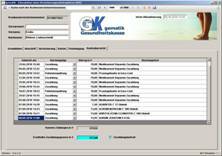 Gematik is a system to pay the practice fee and pharmaceutical co-payment by the new German health card. SESAMES MANUFACTURING & TESTS: The winner is STMICROELECTRONICS with UTAMCIC. UTAMCIC is an UHF transponder whose chip is magnetically coupled to its flexible antenna. 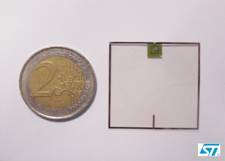 This avoids the physical connection between the chip and the flexible antenna, improving TAG reliability and reducing assembling costs.